Shileyalla Vee Gudiyu Kaleya Baleyu …..
Somanathapura temple inspired Kannada poet Kuvempu to pen the above poem. 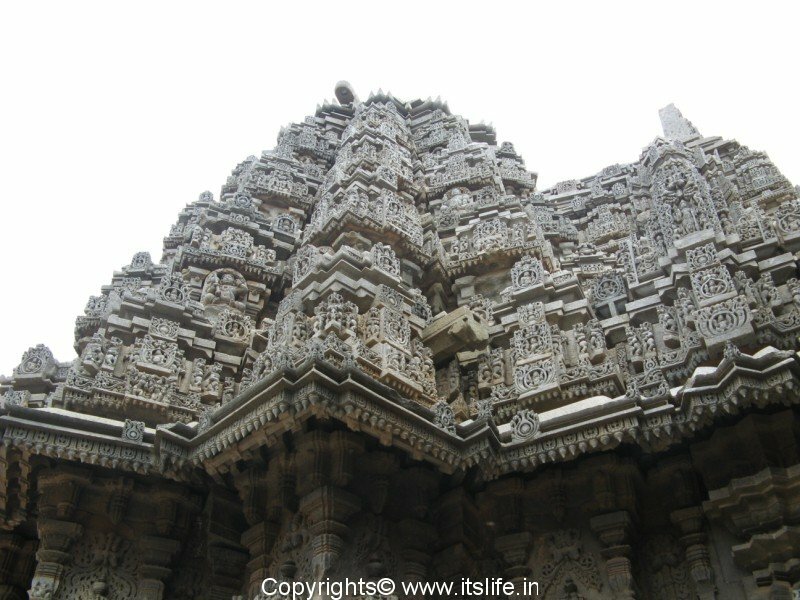 The poet says fold your hands and enter this temple, ‘cos this is not just a temple of stone, but it is a web of art…. 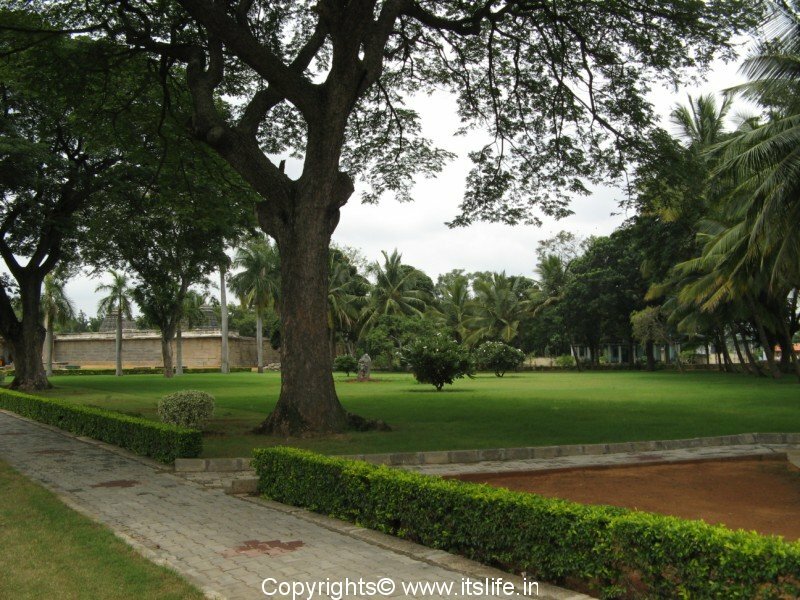 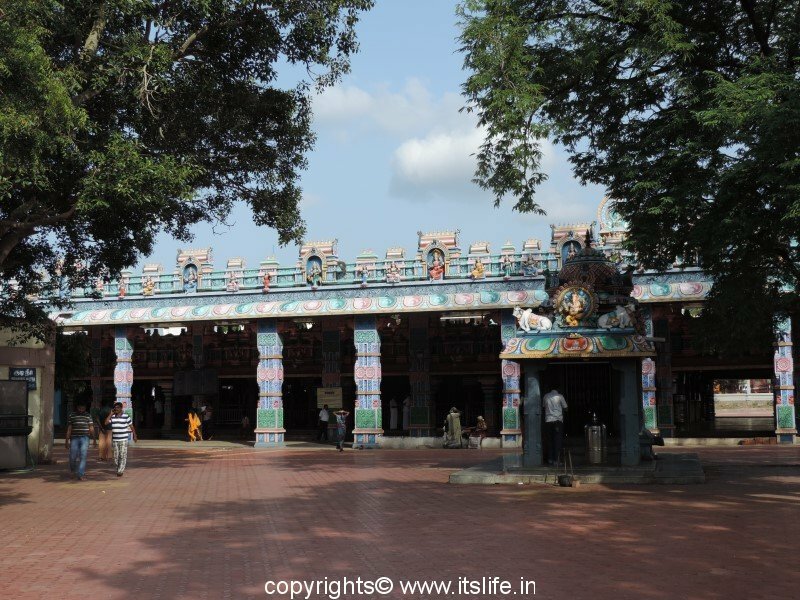 People visiting Mysore always go on a one day trip to Somanathapura, Talakadu and Shivanasamudra. 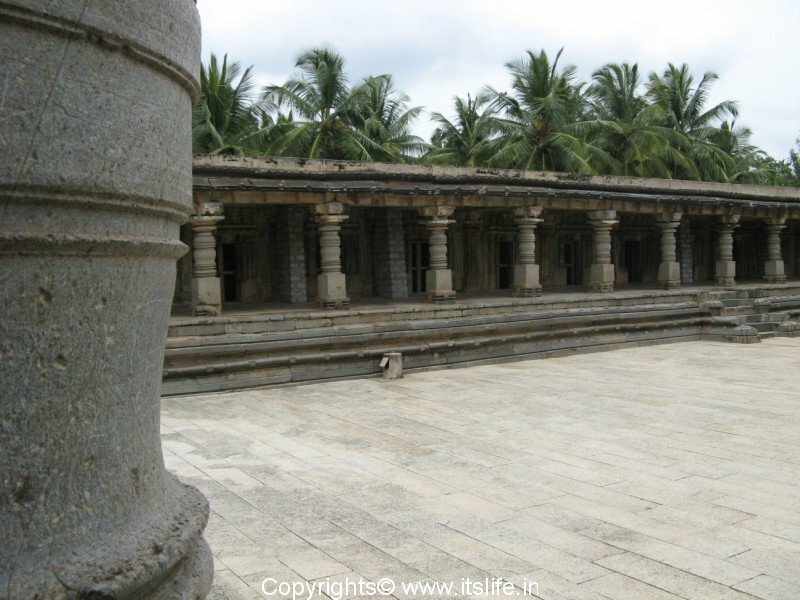 Somanathapura is a small village situated 30 Km from Mysore on the left bank of the Cauvery River. 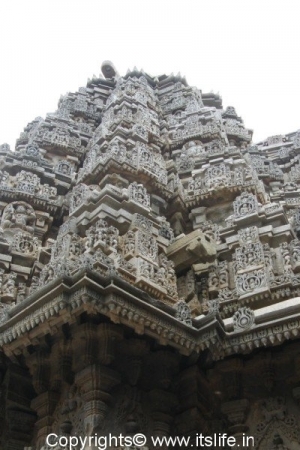 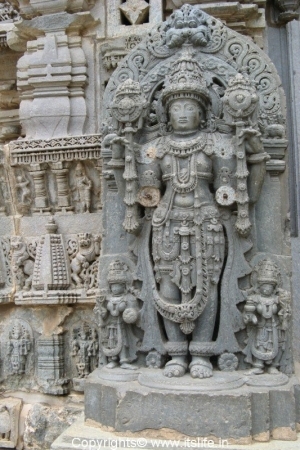 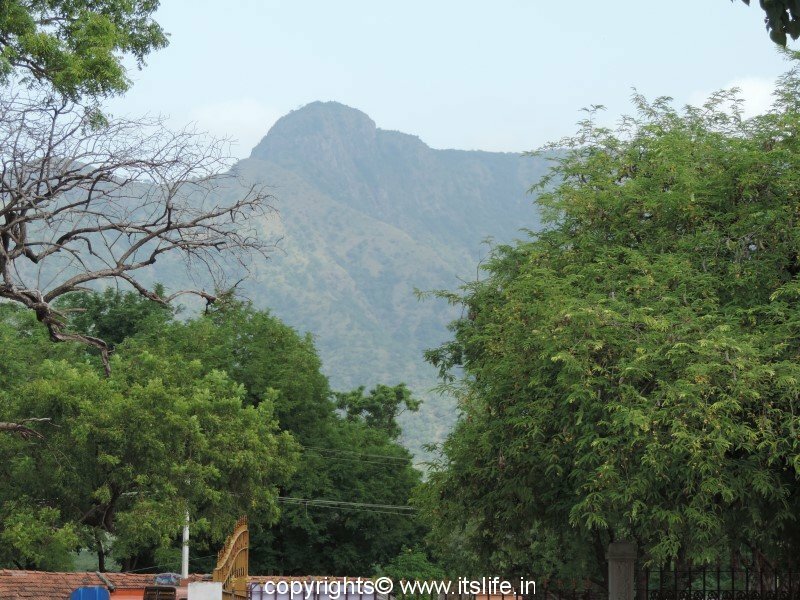 The most stunningly carved stone temple dedicated to Lord Keshava / Vishnu is built here. 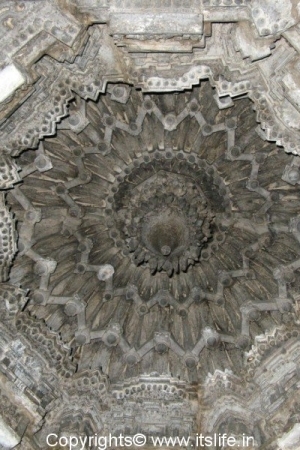 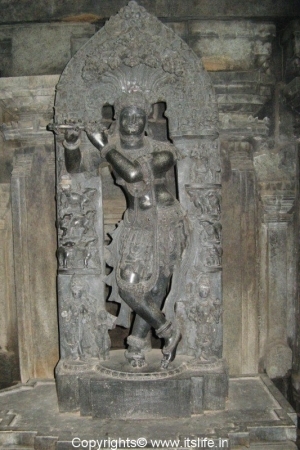 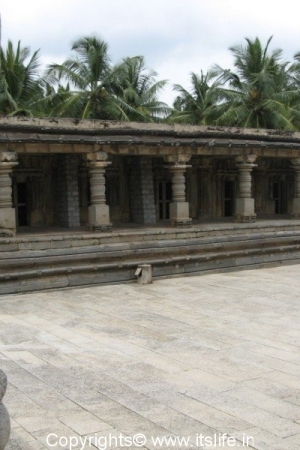 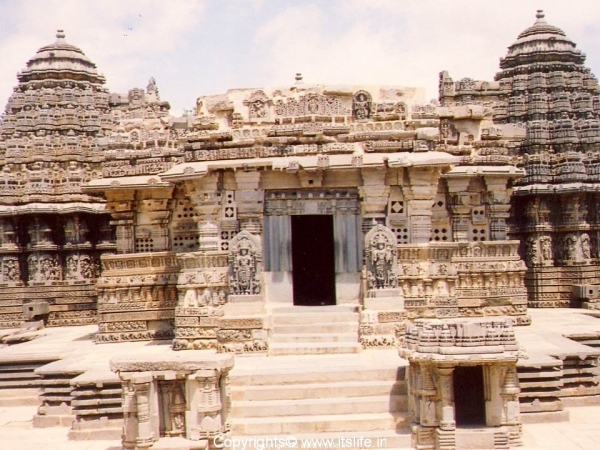 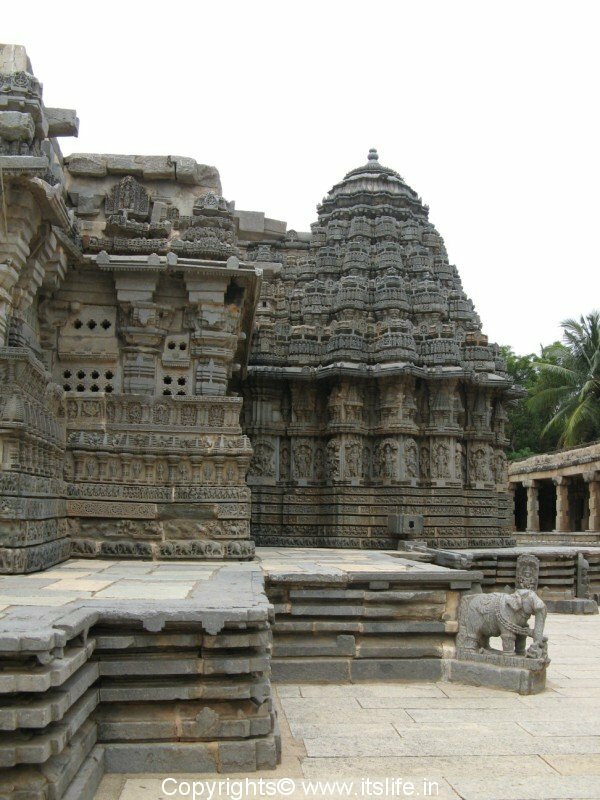 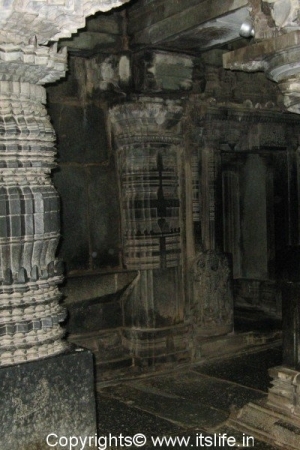 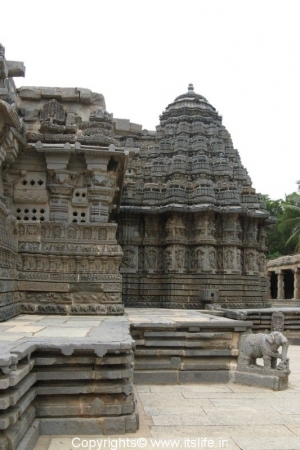 The Keshava temple is the main and only attraction in this village. 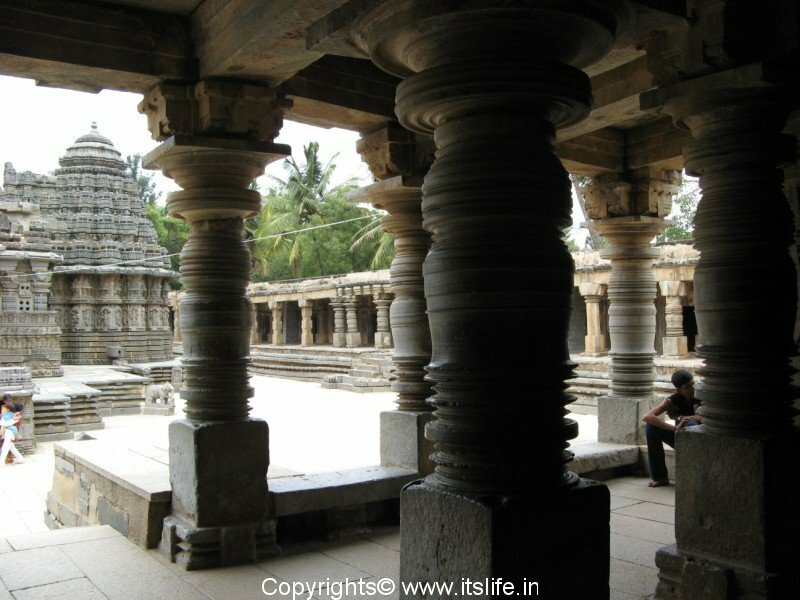 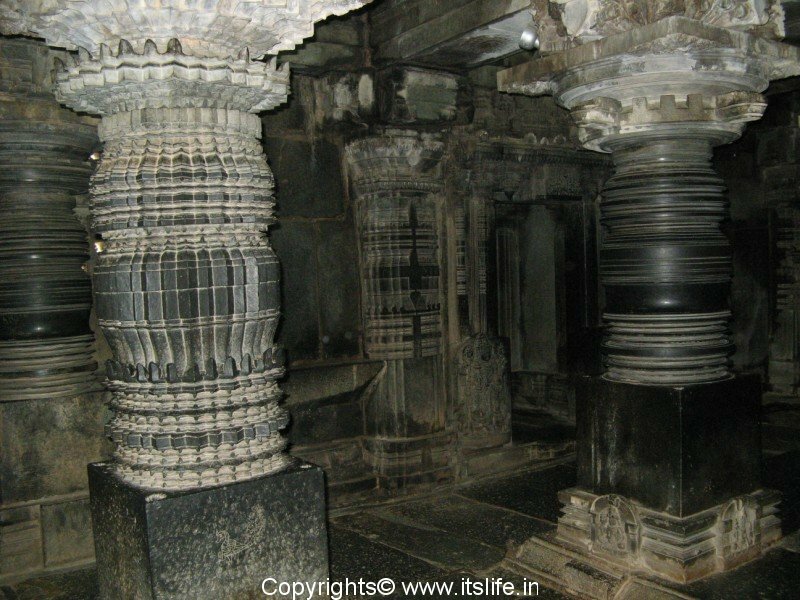 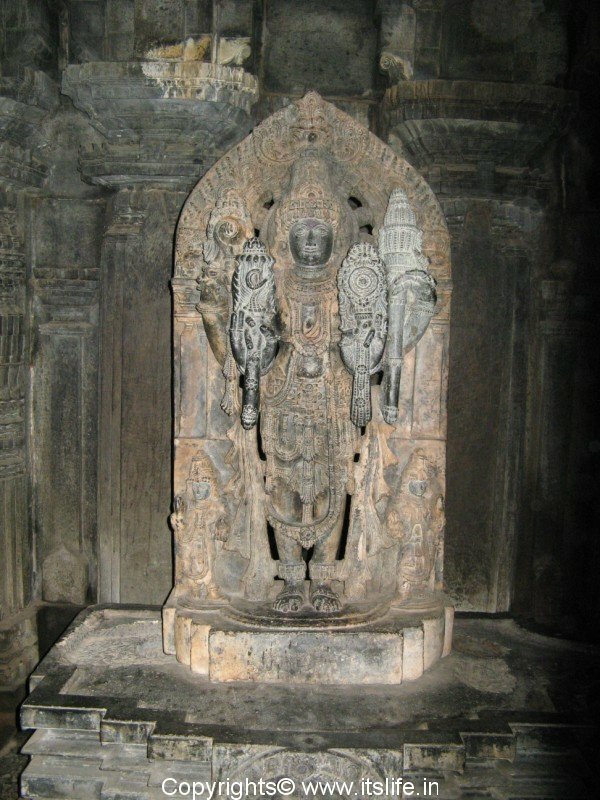 The temple was built in A.D.1268, by Somanatha Dandanayaka, an illustrious General of the Hoysala king Narasimha III (1254 – 1291 A.D.). 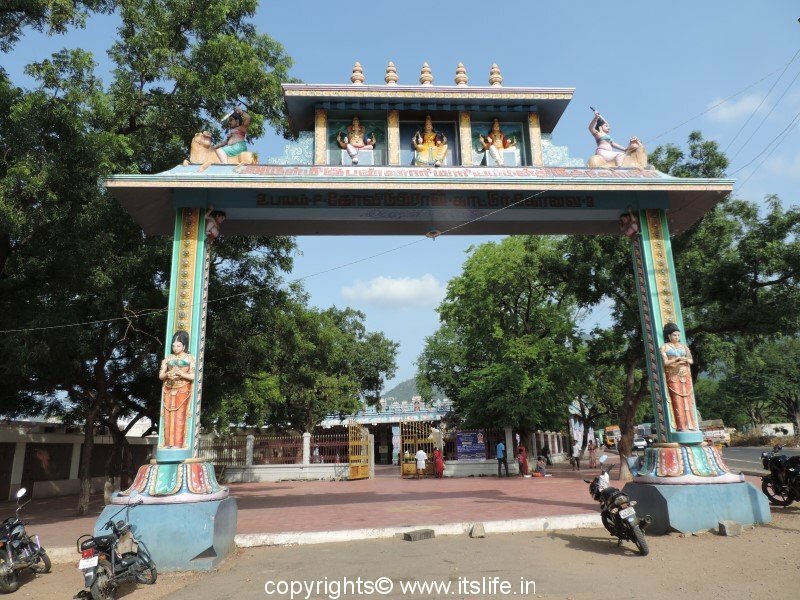 The village is hence named Somanathpura after the general. 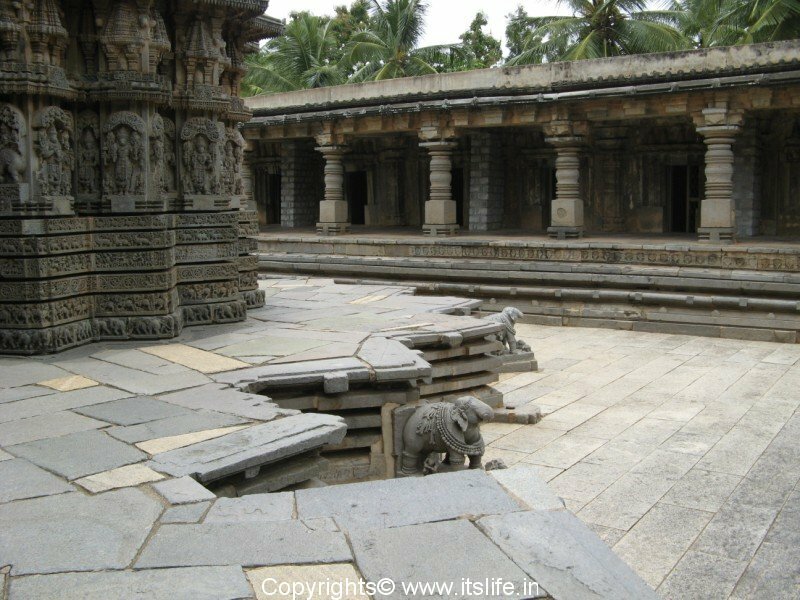 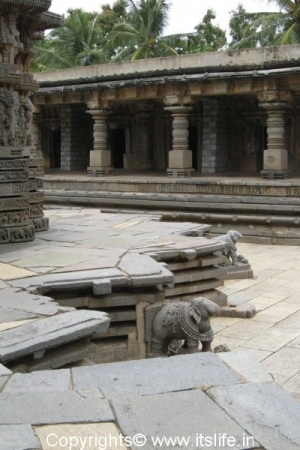 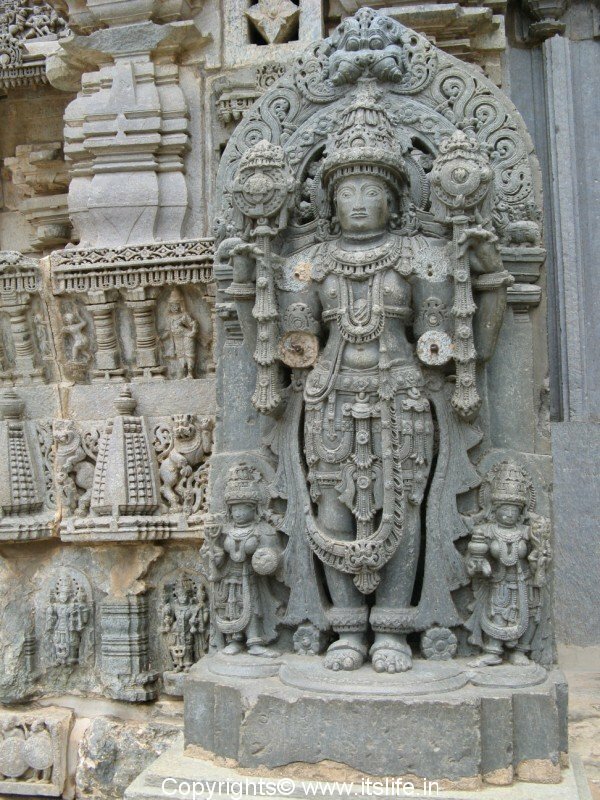 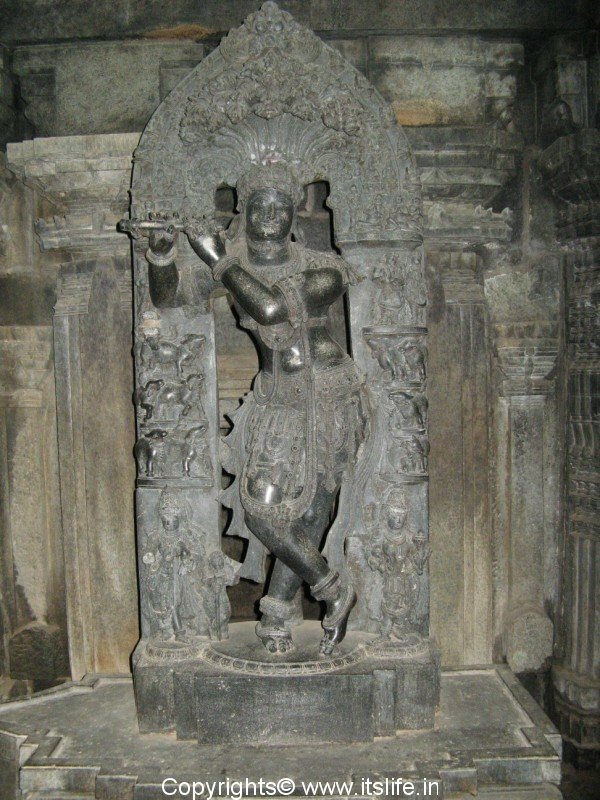 It is the one of the grandest temples of Hoysala architecture and apart from a shrine dedicated to Lord Keshava, there are two more shrines on either side of Keshava shrine dedicated to Lord Venugopala and Janardhana / Lord Krishna. 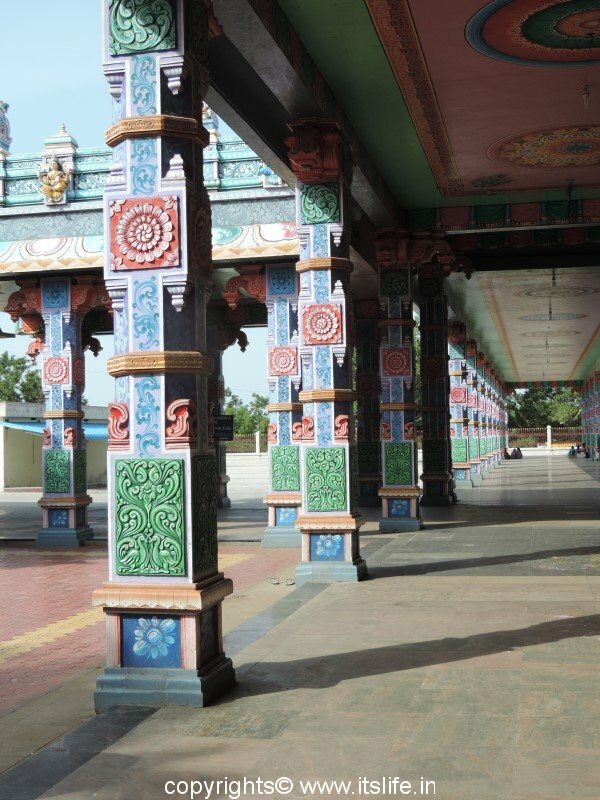 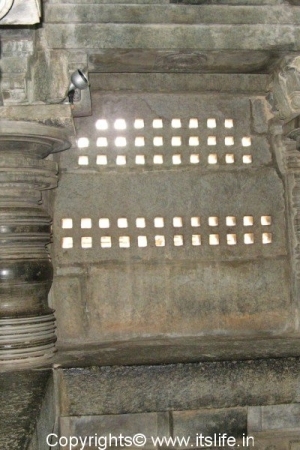 The three shrines together are known as Trikutachala and are interconnected. 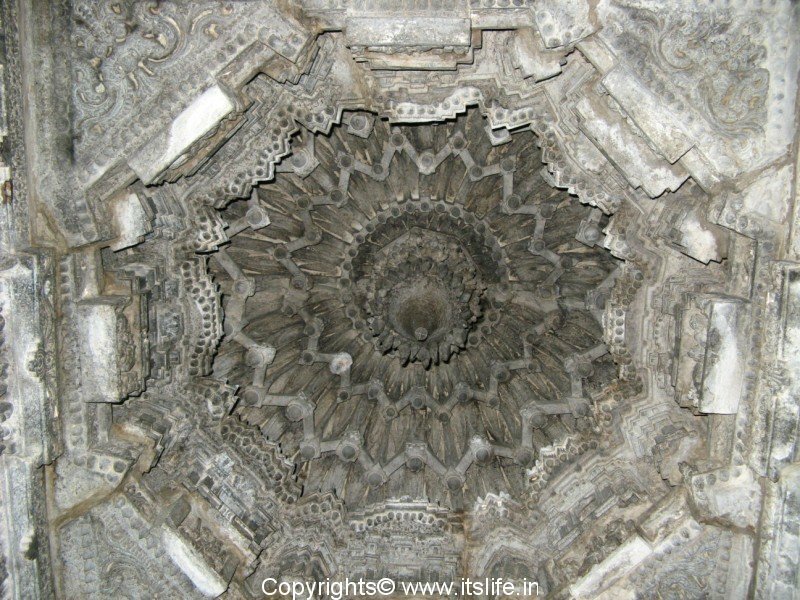 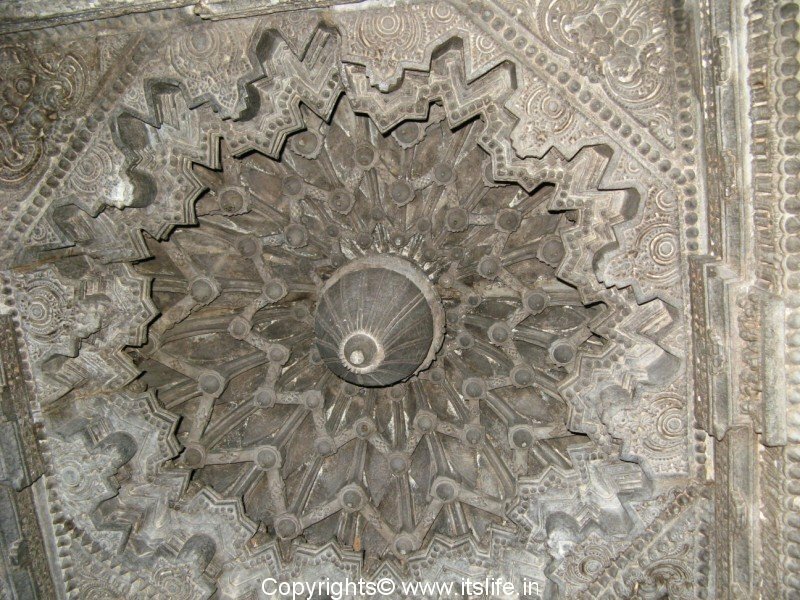 The ceilings, the pillars, the doors and the idols are exquisitely carved and a sight to behold. 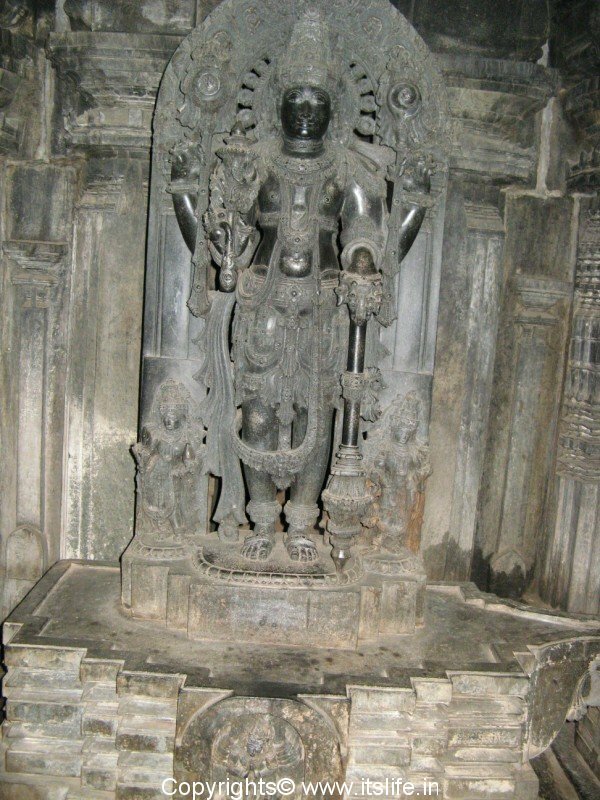 The idols are desecrated by the Moghuls, which is sad and infuriating. 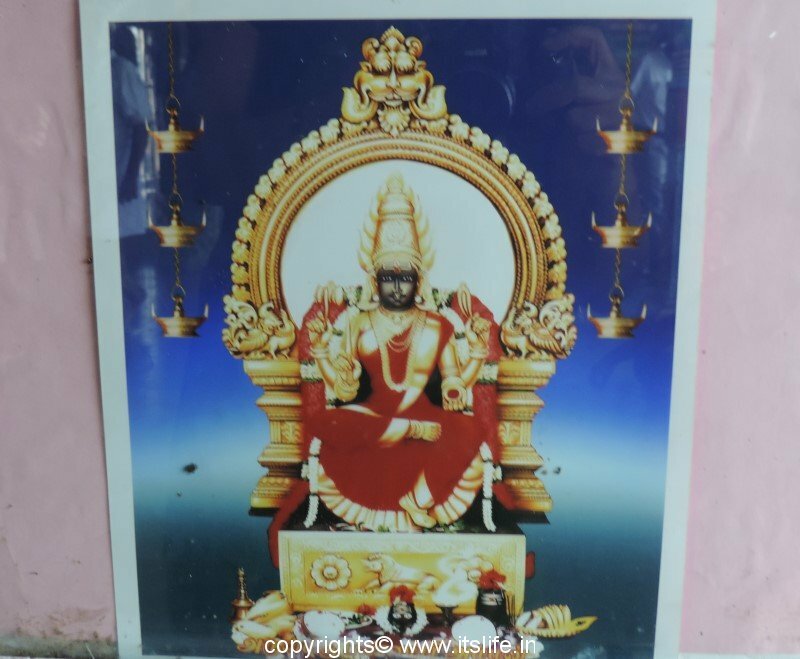 Hence no pooja is performed in the temple. 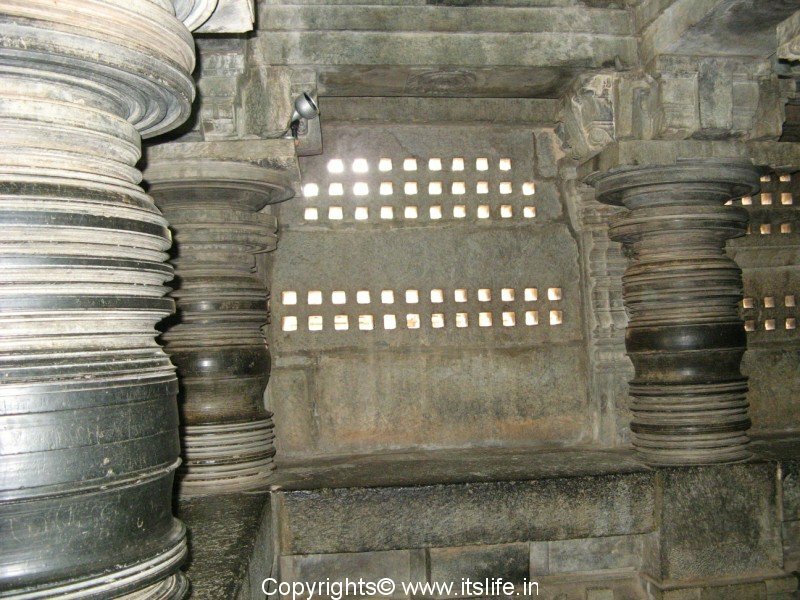 The temple stands on a star shaped raised platform surrounded by enclosure having sixty four cells. 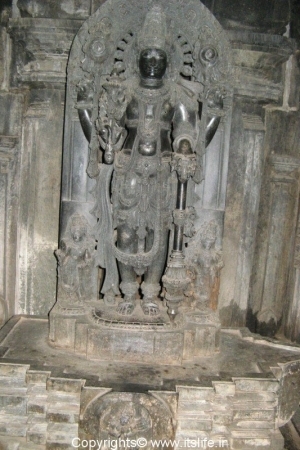 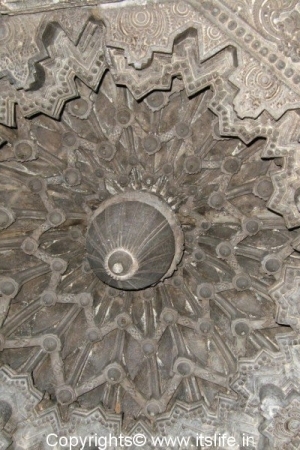 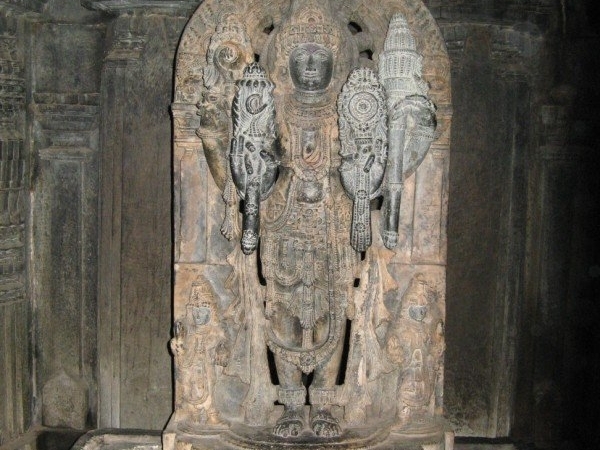 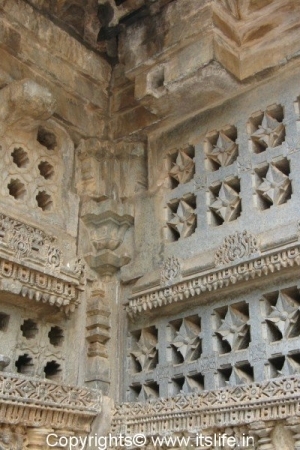 The three garbha grihas / sanctum sanctorum have carved shikharas / towers. 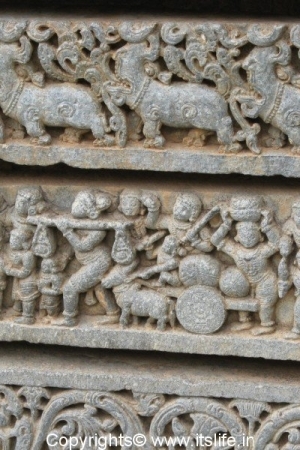 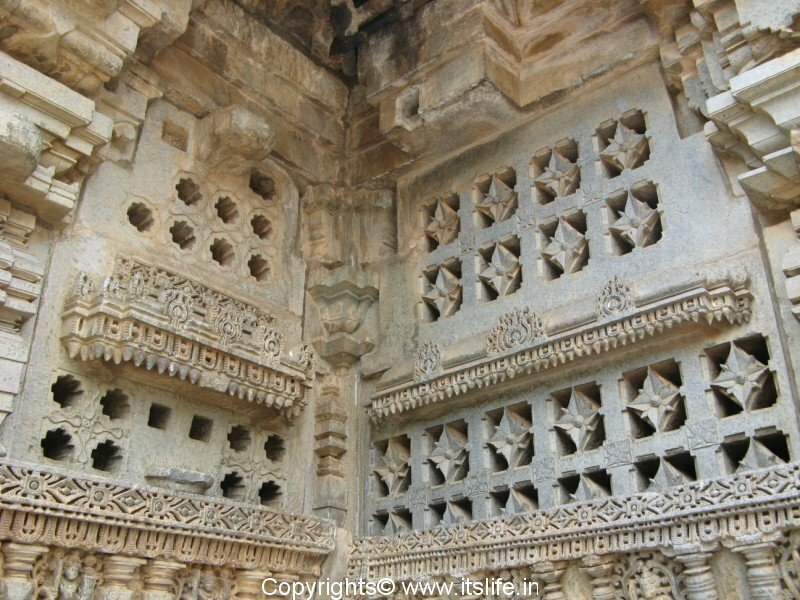 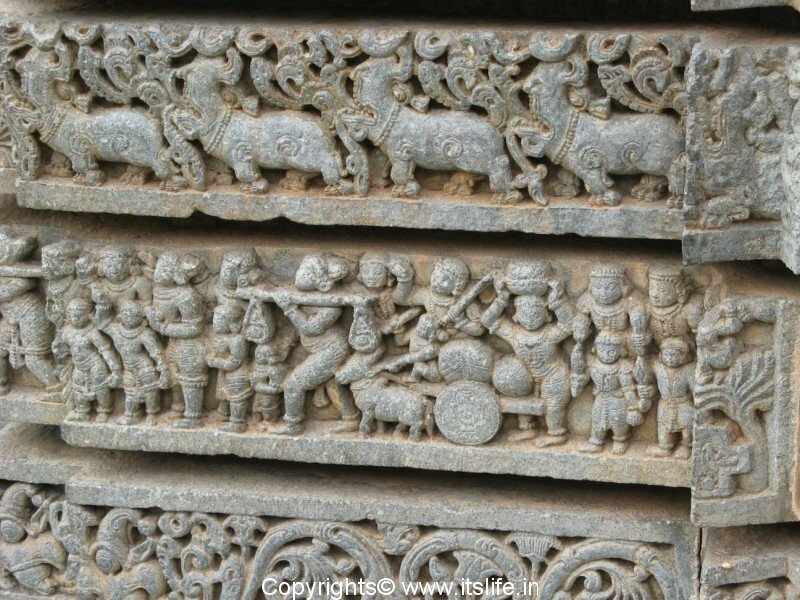 The grilled windows are carved intricately in stone and the outer wall has panels of elephants, plants, flower creepers, gods and goddesses, scenes depicting Ramayana and Mahabharatha. 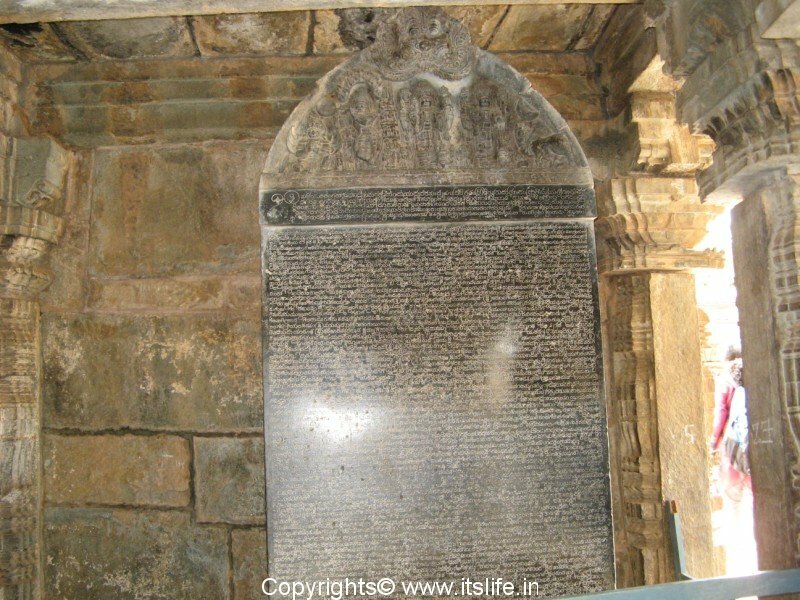 A stone inscription in the temple gives details of the construction and the money sanctioned for the construction of the temple. 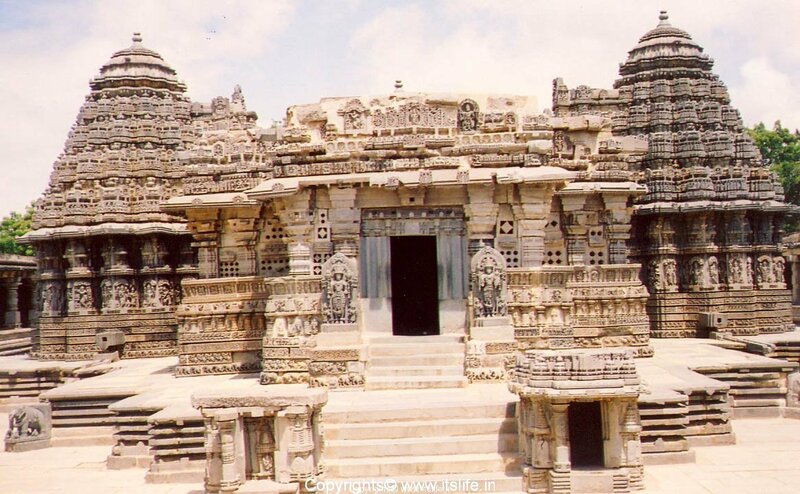 Visit this place and you will agree with me that the place can be given the title “Nectar in stone”. 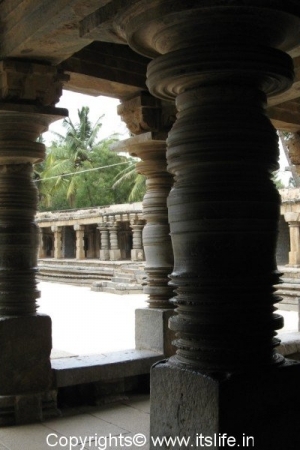 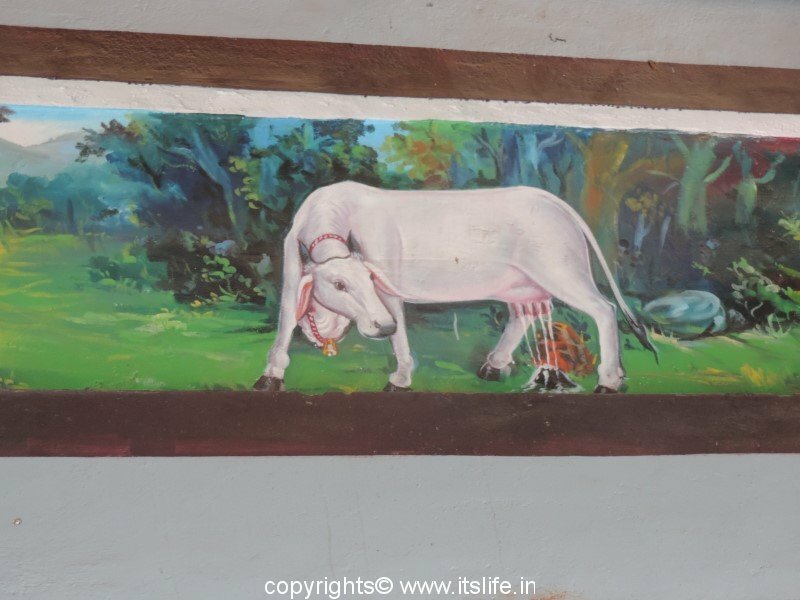 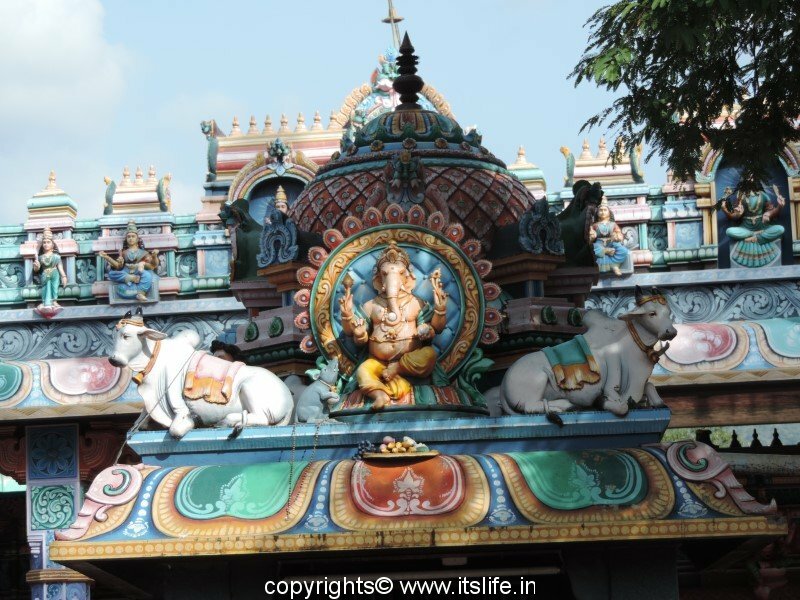 Who desecrated the main deity in the temple?